Enfleurage Middle East is a subsidiary company of Enfleurage New York, wholly owned by us. We are located in The Sultanate of Oman on the Arabian Peninsula. Oman is north of Yemen and south of Dubai. Dhofar, in Southern Oman, is one of the only places in the world where aromatic Sacred Frankincense trees, Boswellia sacra, live and thrive in the wild. We have been hydro-distilling fresh frankincense here since 2011. Our distillation is slow and seasonal. Using traditional copper alembics and low temperatures, the essential oil is coaxed and persuaded out of the resin, resulting in a magnificent, complex and delicate, yet powerful essential oil. We distill "white" or "silver" howjary resin throughout most of the year and, when possible, we distill black frankincense from the areas west of Salalah, from Mughsayl on in the direction of Yemen and the Mountains of the Moon. The black frankincense has a relatively short season, and is harder to come by. We also do specialty distillations when possible, from all areas of Dhofar. 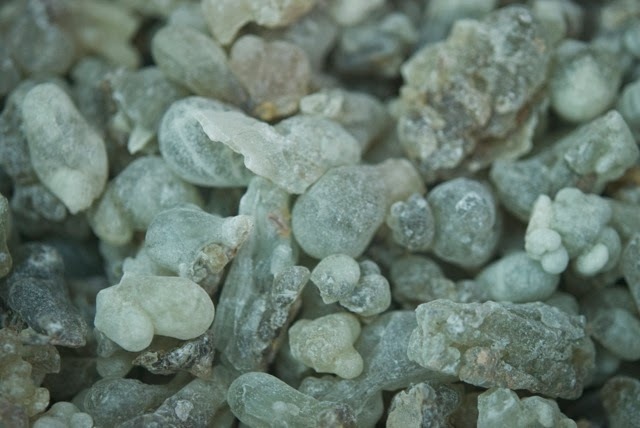 We distill any and all local Omani frankincense resin--and we prefer to distill what is fresh and in season. Slow Aroma. Our Frankincense Essential oil is guaranteed to be 100% pure, whole and natural and free from all additives. Our oil may vary slightly between batches due to environmental changes--all our frankincense is wild crafted by hand in the mountains and valleys of Dhofar, Oman. We also are the inventors of Frankincense Ice Cream and have been making it in our Salalah distillery since 2011. Although our specialty is Frankincense, we do also distill a tiny amount of Myrrh (Commiphora myrrha.) Our myrrh comes from Somaliland, Mahra or Hadramawt, Yemen. We do a similar slow distillation with myrrh as we do with frankincense but the yield is much less, so we make a very small amount of oil, with an extremely biologically active hydrolat, containing a high level of essential oils. Since Myrrh oil and myrrh water weigh the same, it’s difficult to separate them. Therefore hydrolat is very hard to find as most myrrh distillers add something to facilitate the separation of water and oil. We just let our hydrolat rest as it comes out--it’s perfect for small and specialty skin care formulations. Due to the high cost of airfreight and DG charges from Oman for this volatile oil, we ship our production to the United States and all wholesale orders ship from there. We supply GC/MS upon request and invite anyone who happens to be nearby to come visit our distillery. If you are interested in purchasing our frankincense oil please email me, Trygve Harris. Enfleurage Middle East and Enfleurage New York are not affiliated or associated in any way with any other essential oil company. We maintain the integrity and secrecy of our frankincense ice cream recipe, along with our other Omani ice cream flavors, and have not shared these. Any recipes found attributed to us on the internet are patently false.